Disaster may strike your home when you least expect it. There could be damage from flooding, an earthquake, termites, or even mold—just to name a few possibilities. And though you probably assume repairs will be covered by your homeowner’s insurance policy, they may not be. Your policy may exclude more events than you realize. Even when you are covered—for, say, flood damage—there may be “gaps” in your coverage that limit the amount you can recover. 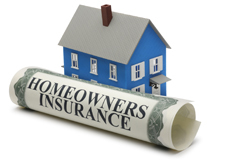 The good news is that a typical homeowner’s policy covers losses resulting from fires, tornadoes, and severe storms. But the list of what it normally doesn’t cover may surprise you. For instance, coverage may not extend to floods and earthquakes, although you can usually add a policy rider for such events. The rider’s cost will vary based on whether you reside in a high-risk area. Similarly, if you have to clean up a mess created by a water or sewage backup, the expense won’t be covered by standard homeowner’s insurance. But here, too, you can purchase a special rider to avoid this headache, often for less than $100 a year. The list of other types of damage that usually aren’t covered range from mold to insect and termite infestations to acts of terrorism, war, and nuclear attack. Dig your policy out of your files and take a few minutes to assess your risk exposure for these events. Even if you’re covered for damage—through standard insurance or a rider—payments from the insurance company are based on the property’s replacement cost, not its fair market value. Also, if your home is destroyed and it’s insured for less than the replacement value, you’ll have to pay some of the rebuilding cost. In addition, deductibles and maximum dollar caps may affect reimbursements for possessions that are destroyed or stolen. In terms of liability exposure, one way to avoid dire consequences is to supplement your current coverage with an umbrella liability policy. As the name implies, the umbrella policy sits on top of your homeowner’s and auto insurance policies to provide additional protection. For instance, if a neighbor slips and is injured on your icy sidewalk or a tree topples onto a car parked in front of your home, an umbrella policy may pick up the slack. Just like other forms of insurance, you’ll need to shop around for the best umbrella policy. And keep in mind that umbrella coverage kicks in only after other insurance is exhausted, and umbrella policies usually carry deductibles equal to the required underlying limits for the auto and homeowners policies. Still, the cost of umbrella coverage usually isn’t prohibitively expensive. You may be able to obtain $1 million in liability coverage for $200 to $300 a year. And you may get a discount for using the same carrier. That could prove a small price to pay for plugging the gaps in policies.